I’m back after a bit of hiatus! 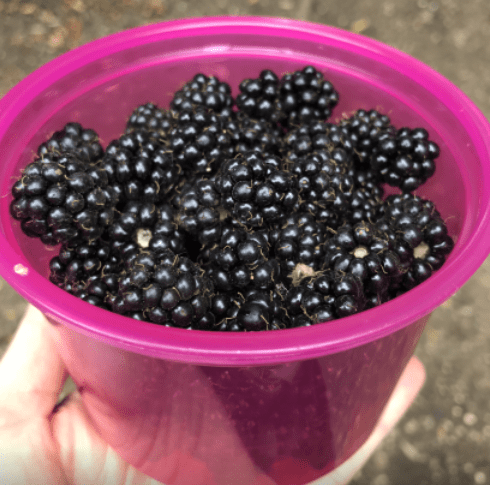 It’s my favourite time of year – I’m excited by Autumn and have already gone a bit mad on the blackberry picking. I did draft a quick update for August, but never got round to posting it and then it was nearly September so not really worth it. This was mostly because we were on holiday for the first two weeks of August which was great, a much needed break for all of us. I had thought I might do a bit of business stuff whilst I was there, but I actually used the time to relax and have fun with the family. We decided to chase the sun this year (the year we have an amazing summer in the UK!) after a few years of mediocre weather in Northern France, so this year we flew to Nice, hired a car and drove along the coast to Port Grimaud which is just across the bay from St Tropez. Our campsite was pretty good, great Olympic sized pool with a couple of decent slides and a kids club the girls enjoyed going to (always a bonus). The caravan was a bit crappy, but had air con so we couldn’t complain, because it was HOT. We visited St Tropez one day and it was 43 degrees as we were waiting for the boat back! We had one afternoon where it rained heavily for 8 hours, but other than that it was great and we’re considering going back to the same area next year. We arrived home late on a Saturday (one of those surreal days where we had lunch in Cannes by the sea and dinner from the Co-op!) but there was no real chance to rest up because work started on the house on Monday. Sunday was a flurry of activity in terms of clearing the last bits and pieces from the garage, warning the neighbours and getting organised to get back to work. That’s involved a lot of clearing out and getting rid of stuff which has been quite cathartic, but there is more to do (always). The builders arrived bright and early on the Monday morning and by end of the day on Tuesday, they’d already managed to fill 3 skips worth with what used to be our playroom! Luckily for the initial period most of the work is sectioned off from the house, so it’s not too disruptive. They have discovered a very thick, reinforced concrete base under the playroom floor which has taken longer than expected to dig out. That required a digger with a pneumatic drill on the end, and the noise was absolutely deafening, so we had to make ourselves as scarce as possible for a couple of days (our poor neighbours). Hopefully that’s coming to an end now and thing will be a bit more peaceful, at least until mid/end Oct when we need to move out whilst they knock internal walls down. It’s exciting though, I’m so relieved we’re finally underway. Business wise I am now all officially registered, insured and ready to take clients! I’m just waiting for my website to go live in September to do more of a launch, but it feels great to be finally fully qualified. More to come on this of course. The last couple of months have also seen some changes fitness wise. I finally got round to getting in touch with a PT as I felt I needed the proverbially kick up the bum with my strength training. He does small group sessions (max 6 people) and I’ve signed up for twice a week. It’s not cheap, but I will do for the next three months so improve my technique and build that all important consistency and discipline, and then look to re-join the gym and go solo. I’m also running more regularly. I’ve entered the Bournemouth half marathon in October, and having a goal has definitely focussed the mind there. On holiday, we took it in turns to run every day, so I got seven runs done in a fortnight. It was v. hot even first thing, so not long ones, but getting the consistency going was good. Now I’m back, I’m doing my long runs on the weekend and trying to fit in 1-2 shorter ones during the week which is getting me where I need to be. Exercise – this is just about keeping on really – PT twice a week and aiming for three runs a week so that the HM isn’t a total grind. Aiming to be up to 12 miles by the end of September so I can taper off a bit in the last week. Nutrition – this has been pretty good. Holiday did include a few pastries and glasses of wine, but that’s life and food is there to be enjoyed. That said, I usually try and focus a little more in the last quarter of the year, really making sure I’m eating to support my energy levels (lots to get done) and focussing on fresh food. Business – aiming for a soft launch in September and to secure at least one client in September. I also have my graduation ceremony at the end of the month which I’m really looking forward to. House – starting work on clearing out the study, kitchen and our bedroom ready for the internal works to start in October. This is a good opportunity to get shot of stuff we no longer need. I’ve found this quite hard previously, either due to emotional attachment to things, or feeling that I’ve spent money so should retain it (even if it’s not useful), or just that I don’t have the time and energy to go through things. Little and often has been the way forward though, and I do feel like there’s progress being made. I’m keeping in mind what I want the house to be like when this is all done! Friends and family – a few celebrations coming up and some catch ups with people that I haven’t seen for a while and am looking forward to, just need to pin down those last few details. Money – the next few months need to see a bit of an austerity drive. The build is obviously costing a lot of money, but I’m spending too much on eating out and bits and pieces here and there which really add up. Just trying to keep a bit more mindful of where the cash is going will help – if anyone can recommend any really good apps for this I’d be grateful!